As well as – or instead of – self-publishing your book in print, you can publish it in electronic format as a digital book. Many self-publishers start with e-books to test the water – and many never produce print copies at all. As mine is a children’s book that was never part of my plan, although I am sure things will change in time as more children migrate to e-reading. If you know all about e-readers, skip down to the section on E-book distribution options. Otherwise, I’ve outlined the four main categories of e-reader below – as much for my benefit as yours. This is a fast-changing market so please leave a comment if I have something wrong or if there’s a glaring omission! The newer models of these e-readers have tablet style colour LCD touch screens – to sit alongside rather than replace the e-ink models. They offer e-reading capability alongside most of the features and functionality found on a PC, such as web browsing and (in most cases) working with documents and pictures. They all use backlit LCD screens and colour displays, making them more suitable than e-readers for colour magazine or newspaper reading, or for e-books with lots of images or interactive elements. NB The above lists may fall out of date due to the fast-moving market – please use the links at the end of this section to check the latest models. I aim to check this page once a month and update as necessary! Most smart phones (iPhone, HTC Android phones, Samsung Wave, Blackberry etc) plus the iPod Touch offer e-reading capability thanks to a range of ‘cross-platform’ downloadable e-reading apps made available by the likes of Apple, Kindle, Nook, Sony, Kobo, Copia and more. As I understand it, most of these apps are free and enable users to read books from their personal e-library on the go. This Chamber Four comparions of e-readers article offers a useful overview of the different types of e-readers and is worth bookmarking as I expect it will continue to get updated. Below I’ve outlined three main options for getting your e-book to market. For now I would recommend Option 2 . Once you’ve weighed up these options, I’d suggest also reading the section on Word formatting tips – because whichever route you choose, you will save yourself time and/or money if your source Word document is as cleanly formatted as possible. Bookbaby offers ebook distribution to over 170 countries through 12 stores. You keep 100% of your sales proceeds and instead pay an upfront fee (sometimes combined with small annual fee, depending on which level of service you choose). Smashwords is a leading e-book publishing and distribution operation based in California. If you prepare your Word file according to their free-to-download strict (yet highly entertaining!) Smashwords Style Guide, they will convert it for free into the required Mobi format for Kindle reading and ePub format for other e-books, then place it with most of the major online retailers, including the Apple iBookstore, Barnes & Noble, Sony, Kobo, the Diesel eBook Store and more. They will also offer you your own storespace on the Smashwords site – and throw in a free ISBN if you’d like one. For sales you make on the Smashwords site you receive 85% or more of the net proceeds (meaning after deduction of PayPal processing fees). 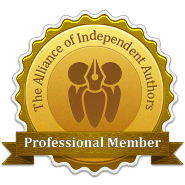 You get 70.5% for affiliate sales (where approved third parties promote your book and send customers to the Smashwords site to buy it). For sales via the online retailers you’ll earn around 60% of the list price. For more detail, check out the FAQ page on the Smashwords website – but first read the note below re distribution to the Kindle store. Customers can buy Kindle versions of your book from the Smashwords store. However, although Smashwords has a distribution agreement with Amazon to place books into the Kindle store itself, this service is limited to just a small number of high volume selling titles. This is because Amazon (as at July 2013) can’t yet accept bulk upload of all of Smashwords’ titles. My recommendation if using Smashwords would therefore be to opt out of the Amazon channel and go for Option 2 distribution method below. In fact I’d recommend Option 2 in any event – read on to find out why! The second option is to sign up with Kindle Direct Publishing (KDP) and Kobo Writing Life and upload to those stores yourself using the instructions they provide, and then (separately) get Bookbaby or Smashwords to get your book to the rest of the market. Kindle is likely to account for the highest number of your sales and you get to keep the 15% of your royalty that Smashwords would otherwise deduct. Smashwords only offers very limited distribution to Kindle – see previous section. Kobo has a very user-friendly interface – why not keep control if it’s easy to upload yourself? Note: even when/if Smashwords starts to distribute fully to Amazon, it will probably be much quicker to get a new title into the Kindle store if you go direct. Reading around, it looks to take weeks rather than days for titles to appear in Smashwords’ partner stores. If you publish direct to Amazon your title will normally appear within 24-48 hours. This is not a criticism of Smashwords, but a fact of life if you use an intermediary. The same applies for making changes to your title such as price or info changes. With regard to Kindle, unless you are comfortable working with HTML files I would definitely recommend using a specialist to convert your file. Having initially tried to do it myself I can vouch that preparing the perfect Kindle file is not nearly as easy as is implied by the many blogs that happily point you to the KDP sign-up page. I won’t pad out this section with the problems I (and many others) encountered here – but if you’re interested, read the later section Kindle formatting – is it really that simple? And be sure also to read the separate section on Word formatting tips because a correctly formatted Word file will save you a lot of headaches. I’ve not used, so can’t comment on, the $65 service for existing CreateSpace customers even though I have my book on CreateSpace. My nervousness would be how much control you have over the quality that comes out the other end – many of the issues I had when trying to convert my own file using the KDP recommended software (which I assume the $65 service must use) centred around minor formatting issues which (a) I know from the many forums I have read are very common and (b) when added together, would have made for an unprofessional product. I wonder how easily and quickly the Kindle service would be able to deal with these niggles and whether any such changes would be included in the price? If anyone knows, please do leave a comment and I’ll update this section. Kobo Writing Life -which accepts ePub files – offers a free eBook conversion service, however I’ve not tried it so can’t vouch for it. Please leave a comment if you have! Personally I’ve preferred to use a specialist to create my ePub file and then have used that for upload to Kobo (and the iBook store). In my view this approach is a non-starter, unless you have bags of time on your hands! To get an idea of the cost for having someone convert your file for you, see the section on E-conversion services in the Word formatting tips section. Kindle formatting – is it really that simple? This section is only of interest if you are considering formatting your Word file for Kindle yourself using the instructions on the KDP website. I had read a lot about how simple it is to convert a Word file into the native .Mobi format required for Kindle, and was reassured by the very organised-looking KDP Welcome page – so I duly signed up to do everything myself. I must stress that the issues below were personal to me. Some may have been easier to deal with were I expert in html – but I am not (and nor, I suspect, are most authors!). And some may just have been me having bad luck, but I suspect not, because I found many people in the KDP forums experiencing similar problems. Ambiguous instructions. KDP started off recommending I save my file Word file as ‘filtered html’ then use Mobipocket Creator software for conversion. However, on opening up the Mobi software program, this suggested that it was just as simple to upload a Word file. I found working with the html file confusing – because somewhere along the line the KDP instructions required me to understand more about html than I did – so opted to use my Word file instead. As you’ll see later, the results were less than perfect. Incompatibility problems between Mobipocket Creator conversion software and Internet Explorer – despite the latter being cited as the only compatible browser for Mobi. It turned out that there was a ‘known issue’ with IE9 dating back several months but which KDP and Mobi had failed to mention. The outcome was many wasted hours and needing to fire up my old PC to access an earlier version of IE in order to carry on with my conversion. Looking at recent forum postings I think the EI9 issue still persists. Poor quality instructions on the Mobipocket Creator website itself – particularly in relation to how to create a linked Table of Contents. (I truly thought I was going mad until I again checked the Mobi Forum and found endless threads, current and historic, from authors all pulling their hair out over the same problems I was encountering…!) I wrote a detailed email to KDP insisting they send me plain English bullet list instructions as to how to make the Table of Contents work. That email worked (and enabled me to solve my problem). I posted it in the Forum and, should you need it, you will find a copy here. Other minor, seeming unexplainable formatting problems – such as random extra line spacing appearing half way through a chapter; indentation of all paragraphs even though some of mine were carefully formatted to be blocked left; chapter headings justifying left when I had centred them; paragraph indents displaying deeper than I had specified…and so on. Whether these problems would have been avoided had I worked with a ‘filtered HTML file’ I don’t know – I had wasted too much time by then to be inclined to go back and try and in any event am not confident using HTML. Throughout I received often poor quality email front line support from KDP, who (a) sometimes took two or three days to respond and (b) quite often gave an utterly unhelpful generic response which ignored the specific question I had raised; this was infuriating and required me to send further emails (with caps on and many asterisks!) in order get their attention…! Once I received a tailored reply it was quite good – but days had usually passed by that stage…! I came very close to getting my file perfectly formatted for Kindle. It looked ‘good enough’ once I finally got the Table of Contents to work – however, as there were random niggles still remaining I finally accepted the help of a specialist. I could have settled for less but I had read widely about poorly formatted e-books leading to customer complaints and knew that I didn’t want to find my book placed in that ‘unprofessional’ category. I’m this sure is the case for all authors. If you do decide to go direct to KDP my strong advice would be to read the whole converted book through very carefully using the Kindle Previewer software (you need to scroll down to find it) and checking what happens in different font sizes. If your e-book renders perfectly then fantastic! If anything is less than perfect then you need to get it corrected. And that may be easier said than done! 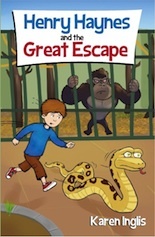 Hi Carole – you can have illustrations in e-books. If you go onto Amazon and look, for example, in the children’s section of the Kindle store and use the free ‘look inside’ feature on a few books you will see some. I’m just talking to the formatter about how the sizing will work – of course people read e-books on all sorts of different size device so the pic size will change according to what they are using – and that in turn means you can’t predict whether there might be blank spaces because the page can’t fit the whole of the picture on… I’ll understand more once I’ve been through the process once! I’d certainly recommend using someone who knows what they are doing than trying yourself! Karen, Just to say huge thanks for this blog. I’ve just published my first title on the Kindle, and would have struggled without your site to give me confidence and advice. By way of giving something back, I’ve got some tips on formatting for KDP which may be of interest to your readers. I had issues with using a .doc file, so tried the Filtered HTML route, and had no issues with the final file, but the guidelines didn’t make it easy to work out how to do it. The trick is to create a folder, then in Word, select File -> Save As Web Page. I’m on a Mac using Word 2008, and there’s no way of knowing how to make it a ‘Filtered’ HTML file, but the answer is to make sure that, on the Save window that pops up, select ‘Save only display information into HTML’. This will save the data into several files inside the folder you created. When it’s done that, right-click the folder and choose to Compress or Zip it. It’s this new compressed or zipped file that you need to upload to Amazon – if you don’t compress it, it won’t work, as KDP won’t recognise the file. I also had issues with KDP recognising my cover image inside the file, and it then wouldn’t let me advance through the publishing process. I added the cover separately, but suspect that the preview file had the image in it twice as a result, so I started again. I omitted the cover file from my main document, uploaded the cover separately, and the program automatically inserted my cover into the ebook file during conversion. Hope this helps, and good luck with the new book! Congratulations on publication of your first Kindle book! And I’m glad you found the blog of help. What’s more – bravo for doing the Kindle file yourself. With Eeek! I used Lighthouse24 in the USA to format it for me – there are so many images throughout that the idea of trying to do it myself just didn’t seem feasible…. I use an iMac here (of late) and it has Word 2008 so your info here is useful – I may at some stage have a go at DIY’ing a Kindle short story or similar – just to give it a go. And I’m sure your info will be useful for others who visit. All the best with your book launch! It looks great fun! Great information!! I too decided to self-publish the second book in my series. I posted some info of my process…quite a learning curve, but worth it. Great post, I wish i had come across this before I started my painful journey into ebook publishing, I would also suggest Authors search around, try approaching companies which Publishers use themselves, ScribeDigital.com work mainly with publishers but took newbie Authors like me on also, research is everything. It’s a big world, I suggest people look around and check Blogs like this before committing themselves! Thanks, J – and for the extra tips re ScribeDigital. First of all, thank you…thank you…thank you!! In this day and age when nothing is free, your advice and guidance through this blog is priceless!! Thank you so much for sharing all these invaluable lessons with all of us. I am so happy that I stumbled upon your blog because I am learning so much through your experience! Secondly, I am just curious – from everything that I am reading about self publishing, it would appear that E-books are the safest option for a new author. When you decided to self publish your children’s books, why did you pick the print on demand option too? To be very honest, I prefer physical books…I always have. I am sure if I will enjoy the Kindle or tablet experience of reading a book. However, when I look around, I see children of all ages holding a tablet. Most of the children in my family (even kids as young as 4) know how to work the basics of a touch phone or tablet. So, I am just wondering, is is not just easier going down the E-book route, considering technology and children today? I know that parents buy the book (E-book or physical book) but then once again, when I look around, majority of the parents own a tablet or Kindle. I am in the process of developing a picture book for children and I am so so confused of whether I should just stick to an E-book or go with the Print on demand option as well? I would love to know your thoughts on this. I am just beginning to scrape the surface of the self publishing world and your guidance is an amazing way to start this journey. Hi Anjalika – firstly thanks for your thanks – and I’m glad that you’ve found the site useful! Is it possible to distribute e-books directly through the Apple i-bookStore, or is it necessary to go through Smashwords or some other aggregator?